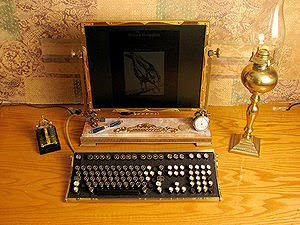 This is steampunk. Basically sci-fi set in the age of steam power. I found it on edgetrends, a link from the Vividians.